AUBURN, Calif. — California Governor Gavin Newsom issued a proclamation on Jan. 15 declaring a special primary election for the 1st Senate District of California to be held on March 26. 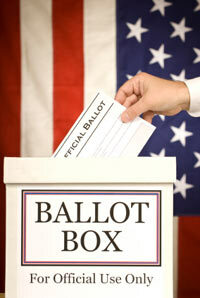 Should no candidate receive 50 percent plus one of the vote, a special general election will also be held on June 4. California’s 1st Senate District is one of 40 California State Senate districts and includes the majority of Placer County. The seat is currently vacant due to the resignation of Ted Gaines, who was sworn in as an elected member of the California State Board of Equalization earlier this month. Candidate filing for the special primary election is now open to Placer County residents and closes at 5 p.m. on Jan. 31. Candidates can file at the Placer County Elections Office at 2956 Richardson Drive in North Auburn during normal business hours, Monday through Friday, 8 a.m. – 5 p.m. The Elections Office will be closed in observance of the Martin Luther King Jr. Day holiday, Jan. 21. Voter registration forms may be picked up at all post offices, libraries and California Department of Motor Vehicles offices in Placer County, or completed online at sos.ca.gov. For more information, visit our website at www.placerelections.com or contact the Placer County Elections Office at 530-886-5650 or toll-free in California at 800-824-8683.